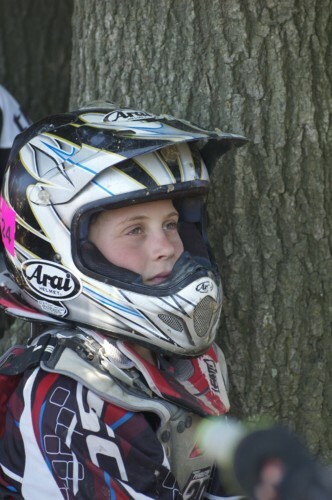 Henry Pendleton, age 11, will travel to Hurricane Mills, TN later this month to compete in the 31st Annual Red Bull AMA Amateur National Motocross Championship. Henry is a part of the AMA Amateur National Circuit and has received top positions in races such as, Baja Brawl (MI), Daytona Amateur Supercross Championship (FL), Thor Winter Olympics (FL) and the National MX Championships (TN). He also holds titles for 2011-2012 Maryland State Championship and Budds Creek National (MD). He is currently sponsored by: USALCO, Dunlop Tires, Scott USA Goggles, MX Solutions and Jessie Keith of Keith Race Tech. Henry attends St. Andrews United Methodist Day School in Annapolis, where he recently received the “Scholarship and Citizenship” Award. Presented annually to one student, this award recognizes a student’s academic achievement, leadership skills, and respectfulness towards others. The Red Bull AMA Amateur National Motocross Championship at Loretta Lynn Ranch in Tennessee is the world’s largest and most prestigious amateur motocross race and serves as the graduation of young athletes to the professional ranks of AMA Motocross andSupercross.